Rai and Jezriel wed this summer on August 25, 2012 in California. 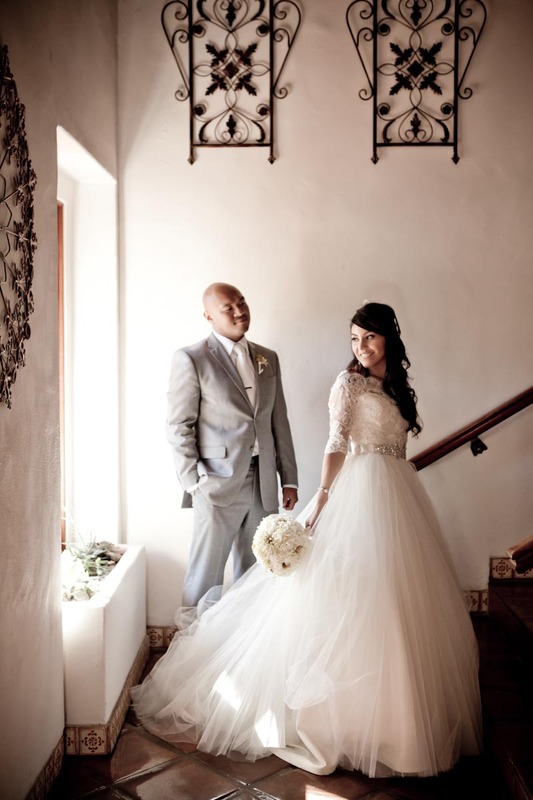 They held their ceremony in the St. Therese Catholic Church, and the reception was at the Rancho Bernardo Inn. We are having a hard time deciding what is more gorgeous? The bride, the groom, the church or the reception site! Rai looks stunning in her ball gown with a rhinestone sash, by designer Tara Keely. Her other accessories include the “Phoebe” veil by Colorado designer Sara Gabriel, and a lace bolero by Pronovias. We are so happy to have been a part of Rai and Jezriel’s traditional, gorgeous, and happy wedding!